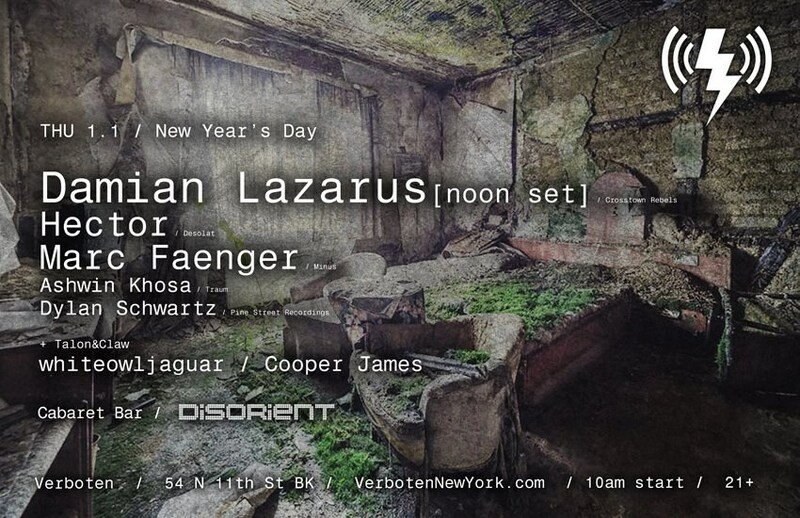 When I heard Verboten flew Damian Lazarus out from LA for this, I knew this was no joke. His scintillating style of upbeat but understated tech house will definitely keep you grooving, as it did for two and a half hours on the Robot Heart Bus @ BM in 2011. Hector is coming out all the way from Germany to keep that sophisticated sound going, and I’ve added a THUMP mix of his to give you an idea of how the main room will throb once this gets going. Marc Faenger is a surprisingly good support, and I’m definitely liking his energetic, almost jazzy approach to the genre. I’ve crushed on them so much here, there isn’t much else I can say about whiteowljaguar, except that I’ll be looking forward to the two of them doing a proper WOJ set. With both of their solo careers burgeoning, I’ve found myself running into one or the other at events, so this is a great opportunity to fall in love with them both all over again. DiSORIENT’s coterie of Pornj-flavored win is going to be quite delightful, and it’s locally grown, just like Brooklyn would want it to be. Amo Dissonant is going to be a special treat, continuing the “almost too cool for you, but it’s ok, come dance” vibe (Is that a vibe yet?) that the best places are known for. Mary Yuzovskaya is a local wonder who is very quickly getting attention from the right crowds. Her tech house & minimal tech chops are not to be underestimated and this should a dope set given Verboten’s systems & acoustics. This is going to be one for the record books folks, and if you’re lucky, you may catch a glimpse of me eating/drinking/cavorting around if I’m still standing after whatever stupendous shenanigans I get into the night before. Get some more info at Resident Advisor, and once again, get the Tickets here. This entry was posted in Attend and tagged Ashwin Khosa, Cooper James, Damian Lazarus, DiSORIENT, Dylan Schwartz, Hector, Marc Faegner, New Year's Day, Talon & Claw, Verboten, WhiteOwlJaguar. Bookmark the permalink.